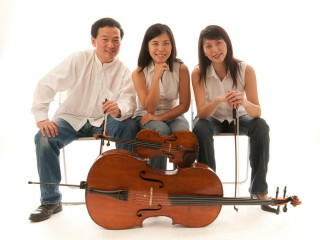 The Trio Oriens raises funds for the Hannah's Hope Fund with selections of music from England, France, Argentina, Taiwan and the United States. In collaboration with Trio Oriens, Houston-based composer Joe LoCascio and photographer Mark Chen present a multimedia work that melds animation with music. Hannah's Hope Fund is a nonprofit whose mission is to find a cure for Giant Axonal Neuropathy, a rare and fatal disease. The fund supports the efforts of families such as Bellaire residents Justin Clark, 13, and his little sister, Lexi, 8, who were recently diagnosed. The hour-long, family-friendly program will be followed by a light reception. Admission is free; donations will be accepted at the door.